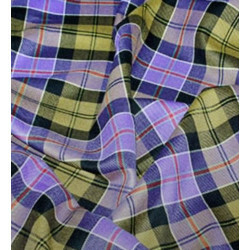 We offer you a large selection of tartans, plaids, tweeds and plain coloured fabrics woven by Lochcarron of Scotland; the world's leading manufacturer of tartans. Made to the highest standards of quality and craftmanship, we can supply you with a variety of weights of fabric by the yard. 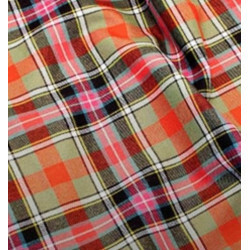 Whether it be for upholstery, home furnishings, kilt-making, dress-making or tailoring you'll love these fabrics. Made and milled in Scotland. Please allow up to 6-8 weeks for delivery. 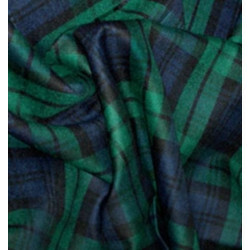 Tartan Fabric There are 3 products.